With a built-in digital interface that processes effects from phone apps. Jamstack has released a nifty device that it’s calling the “world’s first attachable guitar amplifier”. 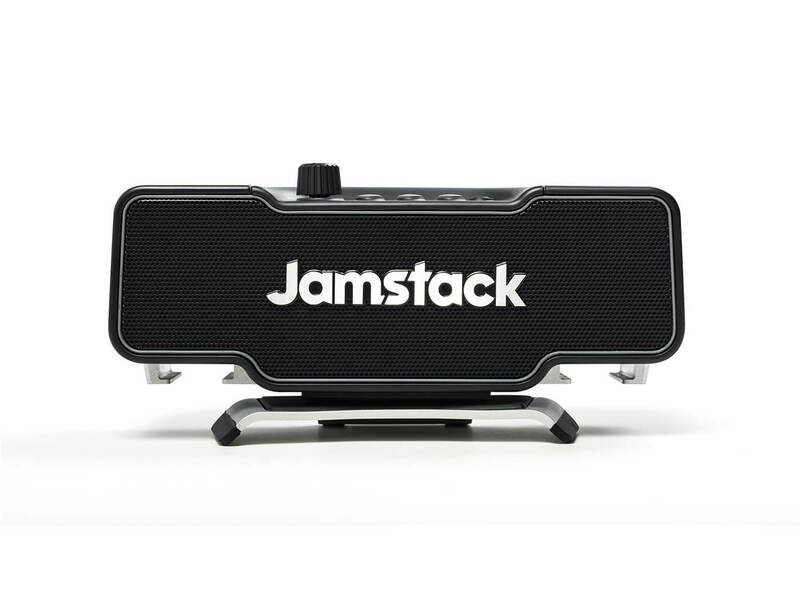 With its portable, lightweight design and smartphone compatibility, this amp is built for jamming on the go. To get started, attach the amp to the base of your electric guitar or bass. Plug your phone and instrument into the amp, and you’re all set. As a neat substitute for effects pedals, you can utilise the tone presets on various phone apps – both iOS and Android – to sculpt your guitar’s tone. You can also project tracks from your phone through the amp for a more immersive jamming experience. If it’s not used as an amp, this device doubles up as a powerful Bluetooth speaker. It packs 10 watts of power, two 1.5-inch speakers, and has up to eight hours of battery life. Retails at $249. More information at jamstack.io.